I paid someone to walk all over me. It was much better than the kind that you don’t pay someone to do to you. Living in close proximity to Thai Town and it’s plethora of $30/hour massages has it’s advantages. But I didn’t get a happy ending….what the hell….girls like happy endings, too! Earlier that day I wasn’t even sure if I’d get into this show, but one little tweet and I got some assistance and I think I ended up on three different lists! The temperature was rising, and I have to say I was in a strange mood this evening. It’s nice to be able to zoom right up past the line to valet and then get early admission as someone on the guestlist. 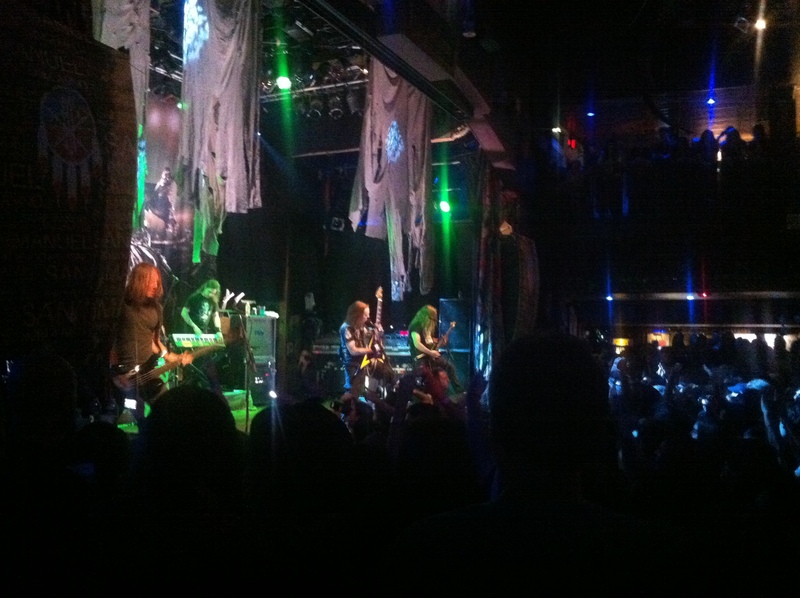 I got a round of tequila shots for my friends and walked over towards the stage only to realize that Septicflesh was actually on first instead of second as I had thought. 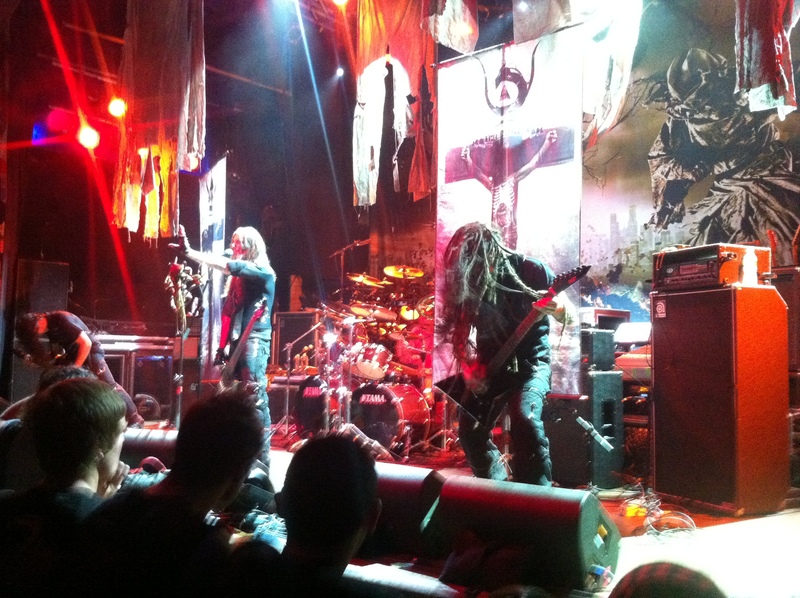 Next up was Obscura, a band I knew nothing about, but that will soon change. Obscura come all the way from Germany, and I really dug the straightforward death metal they delivered in the midst of the rest of the line ups’ melodic hybrid metal. I find these package tours to be kind of too much / annoying, but it’s finding new bands to get into like this that make them completely worthwhile! My phone got zero reception inside HoB, making it impossible for me to do my whole twitter thing, so we stepped outside for a bit. It was then that I began to notice how varied the LA metal scene is in comparison to San Francisco and Texas. There were all kinds of sub-scenes in the house that evening…I couldn’t even begin to describe it. But I think that’s why I feel like LA is a good fit for me: I don’t ever fit into any scene, and here there are so many scenes that I feel it doesn’t make much difference. One thing we all have in common: the predominant color in our wardrobes is black. 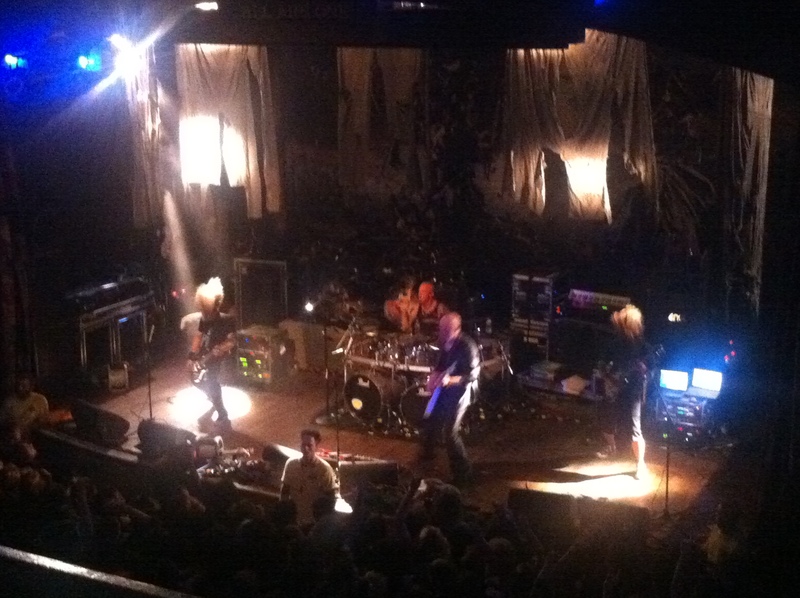 Up next, Devin Townsend…who comes all the way from Canada. He begins the set by saying how they don’t fit with the rest of the bands…how they’re nerds, etc. His rapport with the crowd is great, as I noticed the last time I saw him. Now, I totally get that Townsend is an amazing guitarist and has pipes like few others….but I will never get this music. But it sure is interesting to watch. 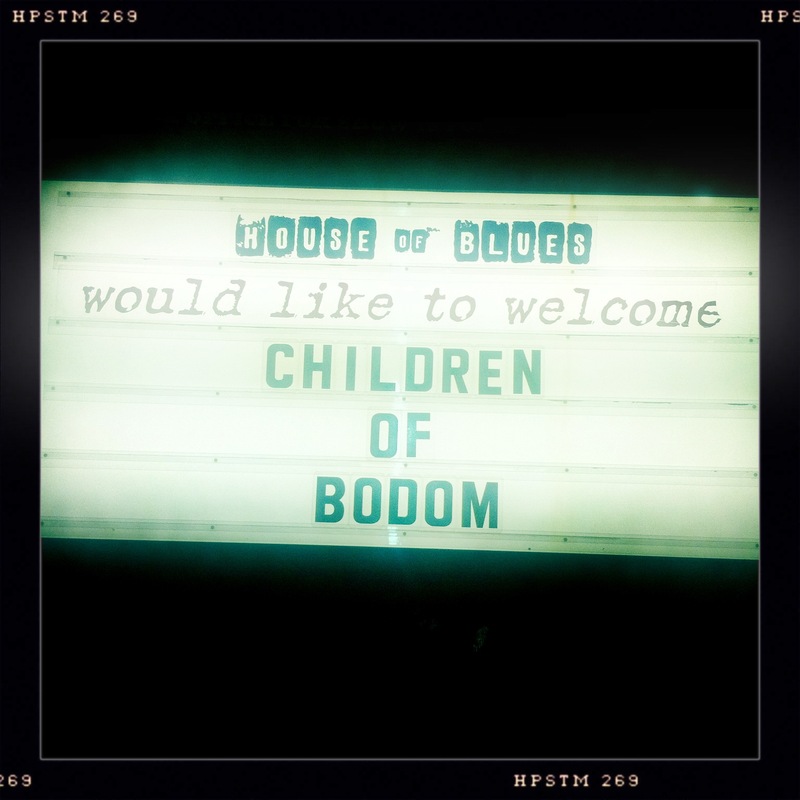 I’ve seen Children of Bodom twice before. While I respect Alexi as a guitarist, this is how CoB songs go for me: “alright, I’m liking this, I’m liking this….OH NO, THE KEYBOARD!!! WHY?!? !” CoB come all the way from Finland, and they have rabid fans. About five songs in, we decided to leave to catch another show, and also because we happened to be standing behind a couple that was both fighting and making out, two of my least favorite things to be behind at a show all wrapped up in one. 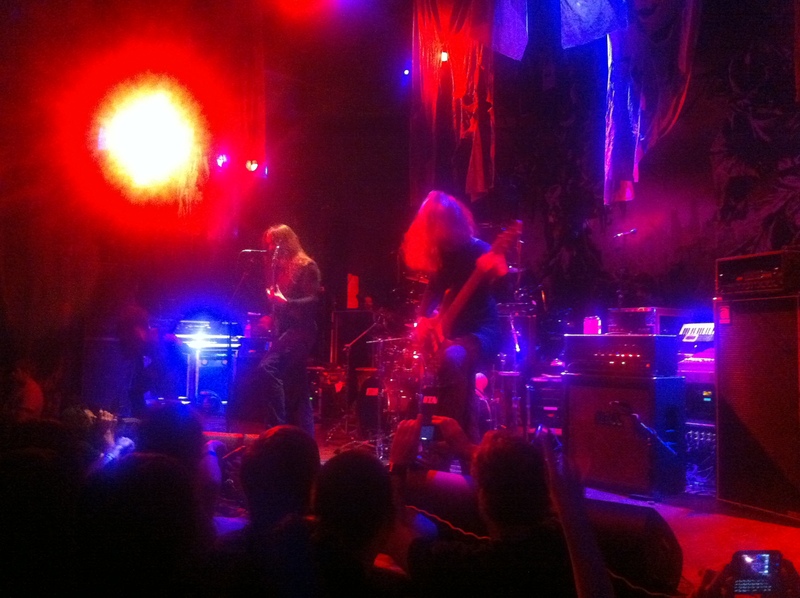 Twitter would later reveal that we’d missed an appearance by Sebastian Bach onstage with CoB….HA! 20 minutes later we were in a dark club down in another part of Hollywood.